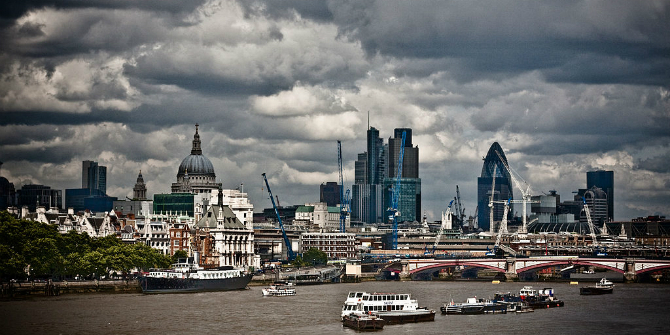 Is the UK economy starting to falter? All of a sudden Britain has become the slowest growing of the major western economies, and there are increasing concerns about its medium-term outlook. Iain Begg writes that with both government and opposition fixated on what kind of Brexit to favour, there is a growing risk that fundamental and necessary measures to underpin the economy will be neglected. Iain Begg is a Professorial Research Fellow at the European Institute of the London School of Economics and Political Science and a senior fellow of the UK in a Changing Europe initiative. Good well informed comment. Both in economic and social terms it was wrong to get frosty with Europe. It’s like blaming your best friend for your own divorce and falling out. The UK has a big problem in that the fundamental economics don’t bode well and we didn’t get our’ducks in a row before bringing about this divorce. The government’s “plan” appears to be a vague hope that the UK will be able to negoiate better trade deals than the EU in a post Brexit world. If the UK was a small economy with just one or two specialties, it might make sense that we could negoiate better trade deals tailored to our specfic specialities. But as a medium size economy with mutiple economic sectors, it dosen’t make sense that we can negoiate better trade deals with the likes of China than the EU….